Bred to hunt in packs, Beagles are social and companionable dogs that are also fun-loving and happy-go-lucky. A curious breed, Beagles are the most popular hound dog in America. They are clever and energetic which means they need a lot of playtime, specifically an hour of play per day is recommended. Beagles were bred to hunt in packs so they’re super social and prefer the company of others. If Beagles are left alone for long periods of time, they can become destructive, but with the right toys and playtime, your Beagle is sure to be a happy and healthy pup. Because Beagles were bred to hunt down prey, playing fetch is probably the best way for them to get exercise. They’re highly-energetic and love the company of others so taking them out for a classic game of fetch will not only be fun for them it would also be fun for you. To get started, check out our list of Fetch Toys, including the Best Balls Ever and the Orbee Globe Ball. There’s also the popular Chuckit! Ball Launcher as well as the Kong Squeak Air Balls. Your Beagle can also enjoy some at-home playtime with chew toys that’ll keep them busy for hours. We have a variety of Super Chewer Dog Toys that are sure to withstand even the most aggressive chewer, including “Illana the Iguana,” the “BARK Pretzel,” and the oft-popular Benebones. When your Beagle needs a little downtime, give them a plush toy for mellow playtime that’s still fun for them. We have a wide variety of Plush Toys to choose from including seasonal toys, foodie-inspired toys, and furry creatures. These include “Penny the Pineapple,” the “Lady Liberty Ball,” and “Consuela the Cactus,” among others! And Don’t Forget About BARKBOX! BarkBox saves pup parents the headache of trips to the pet stores. BARK does all of the work to find the right toys and treats for your pals and sends them to your door every month! Your canine companion gives you a lot of joy, so give some joy back to your pack with the Classic BarkBox starting at $22. Each box arrives carefully curated with 2 innovative toys, 2 bags of all-natural treats, and a tasty chew to get their tails wagging. One of the best features is that you, the person who knows them the best, are able to tailor the box to fit your fur family’s needs! 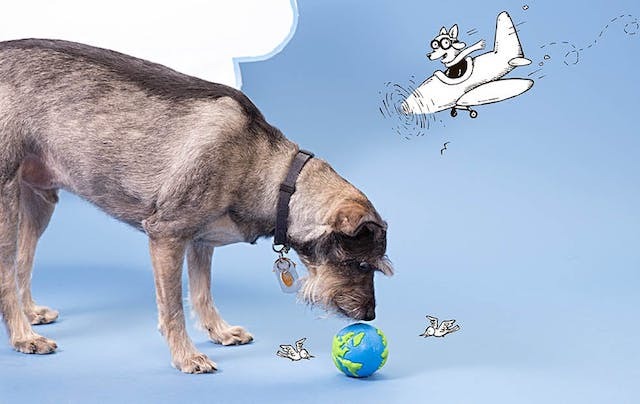 Feel free to reach out to the team on BarkBox.com or email at [email protected] if you have any questions. Why Do Dog Toys Squeak?